Deputies said the man, dressed in camo, shot through the front door of the Dollar General with a pistol. Orange County Sheriff's Office arrested a suspect who used a gun to smash through the front door of the Dollar General just off I-10. 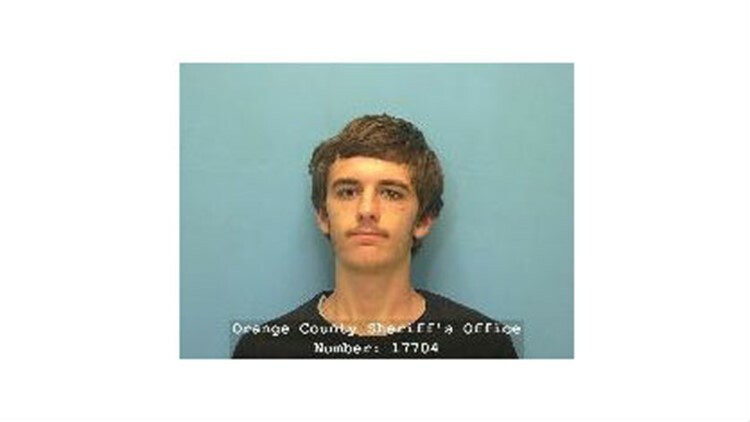 William Webb, 21, was arrested and charged with aggravated robbery on Saturday morning, Oct. 13. Bond will be set at his arraignment on Sunday, Orange County Sheriff's Office Detective Janois Grizzaffi said in a statement. The burglary happened around 10 p.m. at the store located on FM 1442. An Orange County deputy told 12News that the man, dressed in camo, fled into nearby woods.